As soon as we arrived in Cebu City from Bantayan Island, we went straight to Magellan's Cross in between the City Hall of Cebu and the Basilica Minore del Santo Niño, the starting point of our walking tour around old Cebu City. 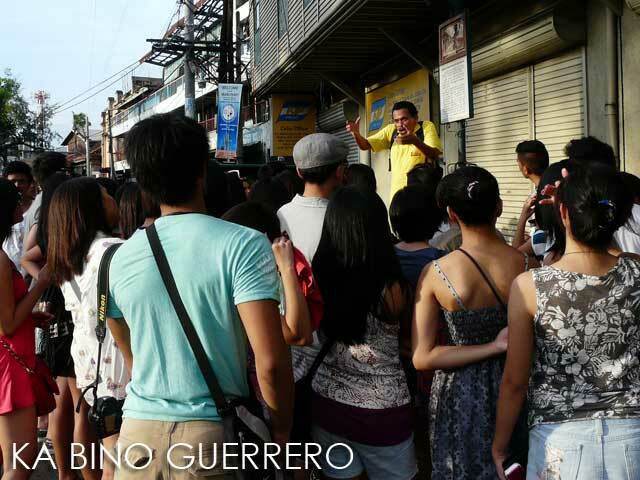 Our guide was Ka Bino Guerrero, one of the best tour guides in Cebu. 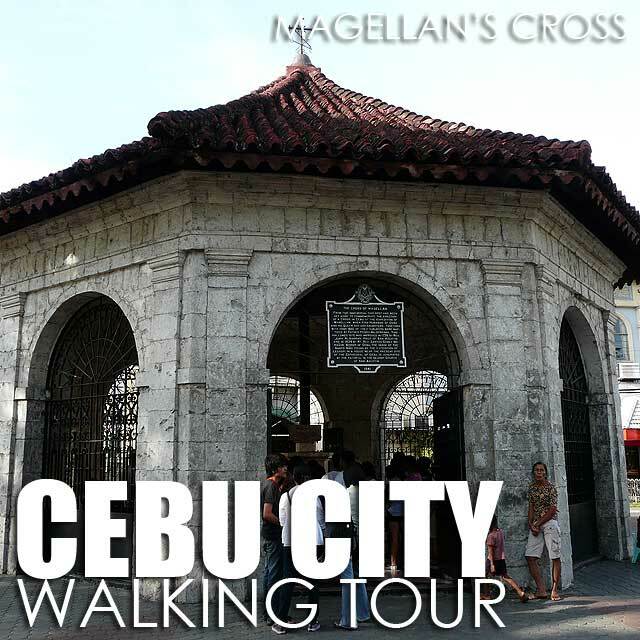 At the Magellan's Cross, Ka Bino gave an overview of Cebu and the cross itself. From Magellan's Cross, we entered the Santo Niño Basilica. Unfortunately, Mass was going on so we had to deal with the large crowd which was there to hear Mass. We were able to enter the church and see the Santo Niño and the intricate main retablo of the basilica. From the basilica, we crossed over to the Cebu Metropolitan Cathedral. Unfortunately, we didn't have time to visit Cathedral Museum of Cebu which I got to visit in 2007 when it was just about to open. 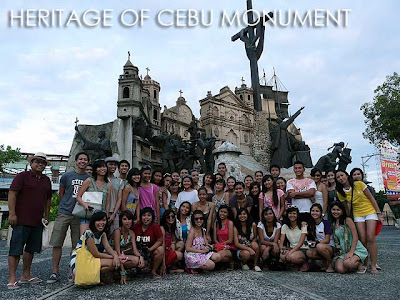 So we walked straight to the Parian District to visit the Heritage of Cebu Monument where Ka Bino concluded the tour. Along the way, he of course told stories about structures which once stood in the area, including the grand Parian Church which was ordered dismantled by the church hierarchy during the Spanish Colonial Period because it was competing with the collections of the Cebu Cathedral. 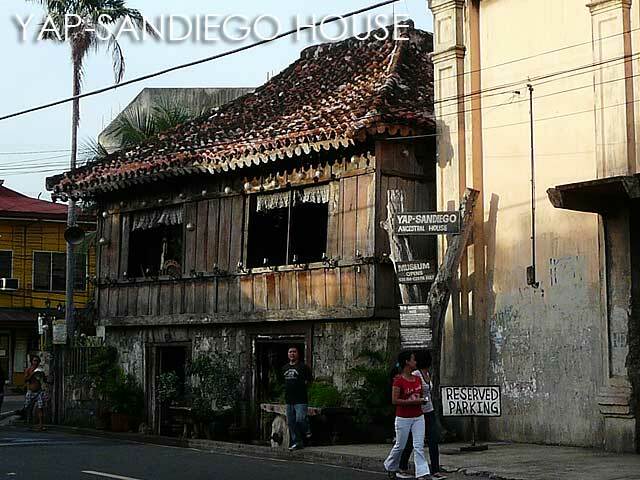 In Parian, there's also the Yap-Sandiego House, one of the oldest surviving Spanish colonial houses in the Philippines, and the Casa Gorordo Museum. But unfortunately, we had to cut the usual tour short because we had to check-in at our hotel. In any case, if you're planning a walking tour around old Cebu City, Ka Bino is highly-recommended.